After losing Madhya Pradesh Assembly elections, former Chief Minister Shivraj Singh Chouhan has moved into his new home. In a tweet, he said that it is “smaller than before” but the heart is big as ever. “From today I will meet you on my new accommodation B-8 74 bungalow. The house is smaller than before, but the heart is as big as ever. Feel free to keep coming and meet, the doors of my house are always open for you. 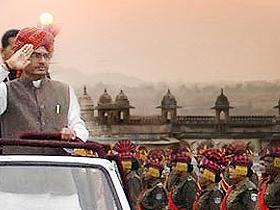 This life is dedicated to you only,” former CM Shivraj Singh Chouhan tweeted. 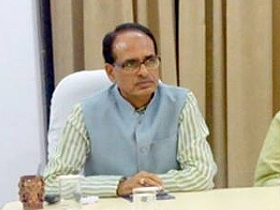 Earlier on Wednesday, during a visit to his constituency Budhni, Shivraj Singh Chouhan said, “No one needs to worry that what will happen to them. I am still here. Tiger abhi zinda hai.” Shivraj Singh Chouhan, who is known for his witty remarks, also hinted at an “earlier than expected comeback” to power in the state as the Kamal Nath-led Congress government may not last its full term of five years. It is to be noted that in the recently concluded assembly elections in Madhya Pradesh, Congress won 114 seats in the 230-member House. Congress fell two short of the magic number in a contest with the BJP (109) that went down to the wire. However, the Congress ensured the support of 121 MLAs with the Samajwadi Party (1), Bahujan Samaj Party (2) and four Independents backing it. The former Madhya Pradesh CM also endeared himself even to rivals with his positive spirit after losing the election. He attended the oath ceremony of his successor Kamal Nath and even smiled for the cameras while posing with Congress leaders on the stage.